Found 20 file extension associations related to XZX-Pro and 13 file formats developed specifically for use with XZX-Pro. poke instructions in .POK or .TZX format. audio fles in .PSG or .WAV format. Emulates Spectrum's speaker and AY-3-8912 chip on workstations with audio hardware. Supports colour (8,15,16,24,32bpp) and monochrome displays, where contrasting colours are displayed with the darker colour in black and the lighter colour in white, which works reasonably well. 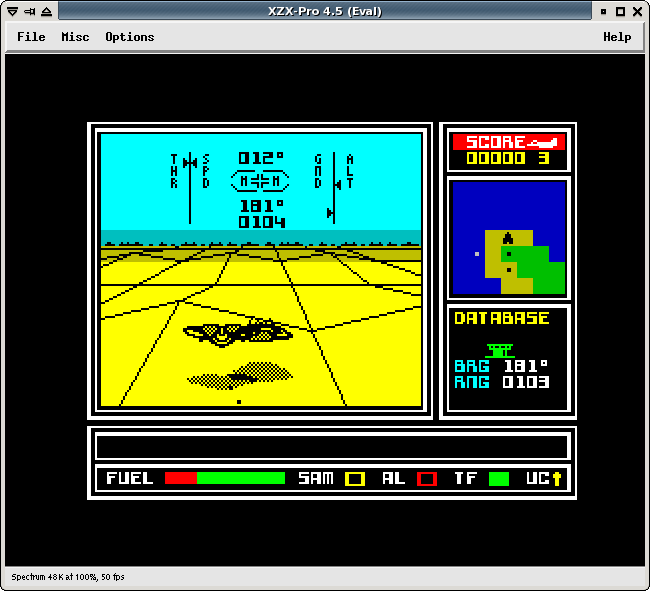 Supports full screen mode on X servers with the XF86VidMode extension. Built-in VNC server for multiplayer games. Supports analogue joystick on PCs with a joystick device. Redirects Spectrum's printer output to a file or command (pipe). Connects Interface I's RS232 to the workstation's serial device. The XZX-Pro software seems to be old or discontinued. If you need more information please contact the developers of XZX-Pro (Erik Kunze), or check out their product website.